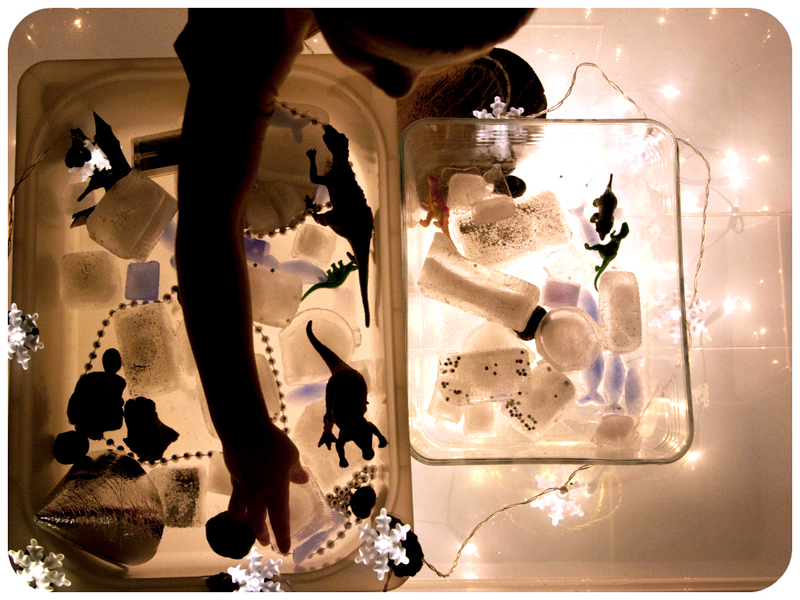 Sensory Bins mean hours of fun for us. 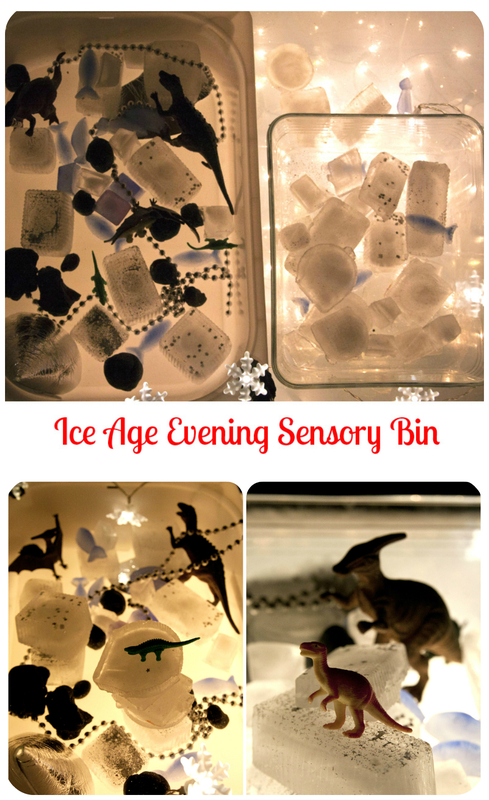 Ice Age Evening Sensory Bin is twice as much fun! 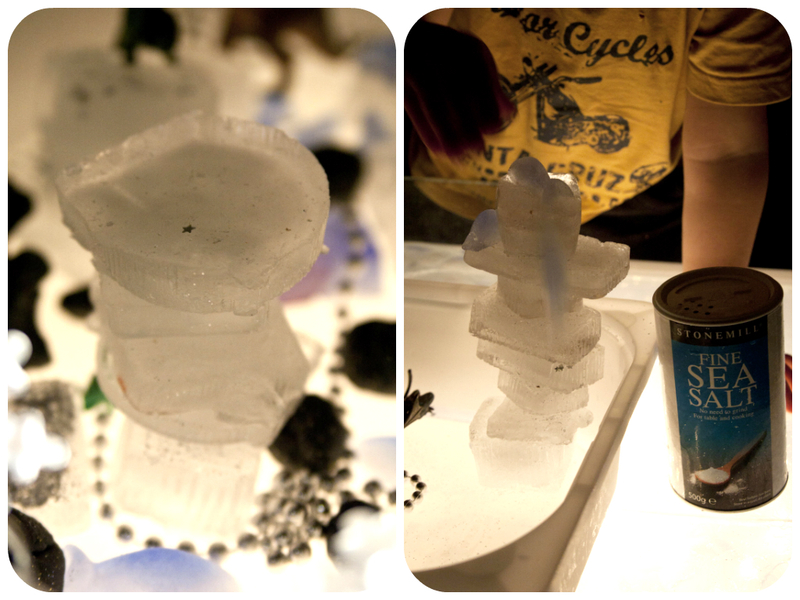 I froze water with glitter and blue food colouring in the chocolate/cookies boxes plastic inserts and ice cube trays. We used our Moon Playdough to make the rocks. 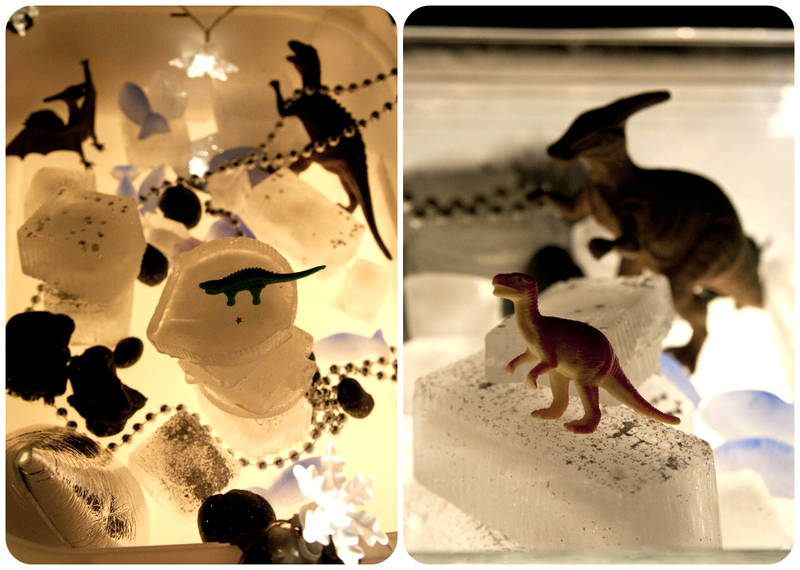 Some silver foil, silver beads and the dinosaurs of course! Everything set on the homemade lightbox in the dark room. Mr Frog was very excited with cold exploration (especially with licking the ice). He checked ice cube shapes and shades (ice looked amazing on the lightbox). We talked about how ice was formed from water, he decided to make little experiment and use hot water to melt some of it. He played with the dinosaurs and asked some questions about Ice Age (that is a new theme to explore in the future). Most of our ice blocks were quite big. Mr Frog decided to build a tower! Quite challenging and almost impossible with slippery ice blocks. Some kitchen salt and...ice building blocks ready to play! It was such fun building towers using them. 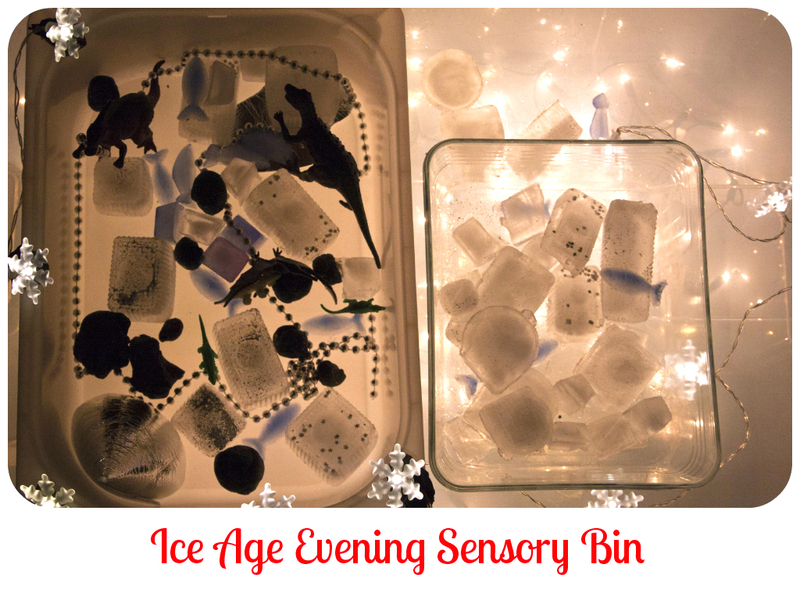 Our Ice Age evening sensory bin was so much fun and learning! 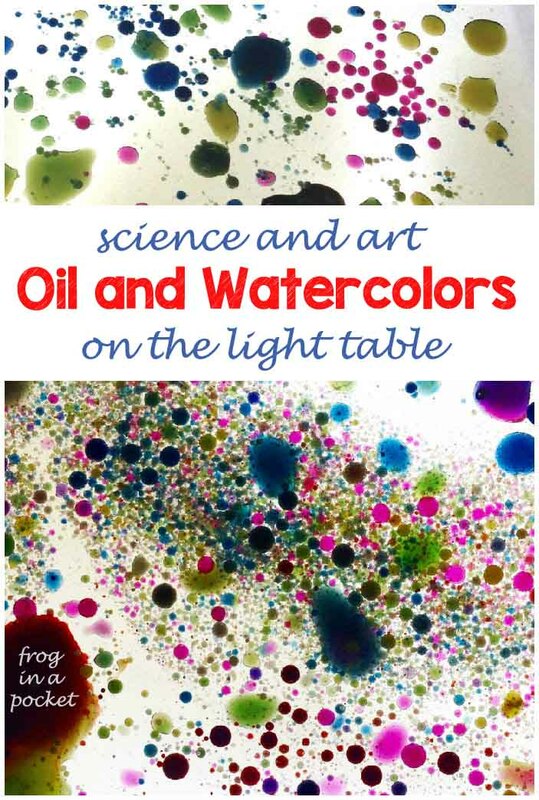 With lots of exploration, questions and experiments. It's perfect time for all winter themed activities! Have fun!